Peggy Montgomery was born October 29, 1918, in San Diego, CA. She was discovered when her mother was invited to visit a friend who was an extra in the movies on the set. Peggy was taken along. Her disciplined behavior was noticed and she as given a chance to perform alongside Brownie the Wonder Dog at Century Studios. Peggy, renamed Baby Peggy, became a hit and Century's biggest star. She made almost 150 shorts for Century between 1921 and 1924. Peggy's father was also involved in the movies as he was a real cowboy and real cowboys were in demand to play in the cowboys pictures at the time. Her dad, Jack Montgomery, worked for one of the two biggest cowboy stars of the silent era, Tom Mix. In 1923, Peggy moved to feature films at Universal. Only a fragment of one of her first and likely most prestigious films, "The Darling of New York" (1923). Another of her films, "The Law Forbids" (1923) is considered lost. 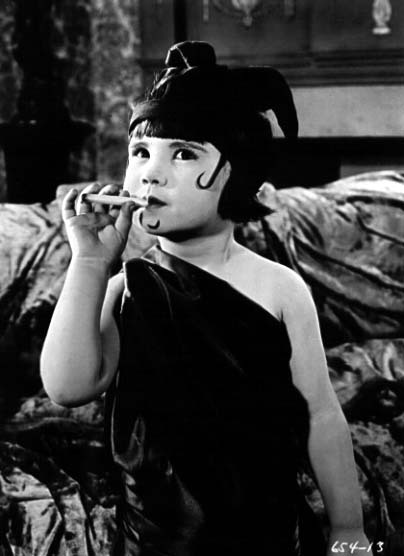 Peggy was the second most popular child star of the silent era behind Jackie Coogn. She was endorsing items such as dolls, sheet music, jewelry and milk, among others. At her height, she was working under a $1.5 million per year contract. Her father managed her career, and by the second half of the twenties, mismanagement of dealings with the studio and the absconding of monies by a relative who was trusted to manage their funds caused Peggy's fortune to disappear. Not in demand as she entered the awkward, in-between age during puberty, she went into vaudeville making as much as $300 a day. Also she did appear as an uncredited extra in a few sound movies, her attempts to continue a movie career were not successful. She married Gordon Ayres in 1938 changing her name to Diana Ayres to remove herself from the Baby Peggy image. Her married to Ayres lasted 10 years, and she later claimed she was able to "find herself" with the help of a Catholic priest and took Serra as her confirmation name. When she married artist Bob Cary in 1954, she became Diana Serra Cary. She and Cary has a long and happy marriage, living for a time in Mexico, and had one son, Mark. Bob Cary died in 2001. Cary has been a favorite at film festivals, has written a book about child stars, a biography of Jackie Coogan, a tribute book to her father about the cowboys her acted in the silents, and an autobiography. A documentary on her life was produced in 2011 and available on DVD was shown on Turner Classic Movies.